This end table table offers a modern take on the beauty of natural, unspoiled elements of nature. The travertine table top has been left unfilled, this allows its porous and authentically beautiful nature to shine. Its open and contemporary styling brings a unique look to this piece, especially perfect for eclectic home decors. 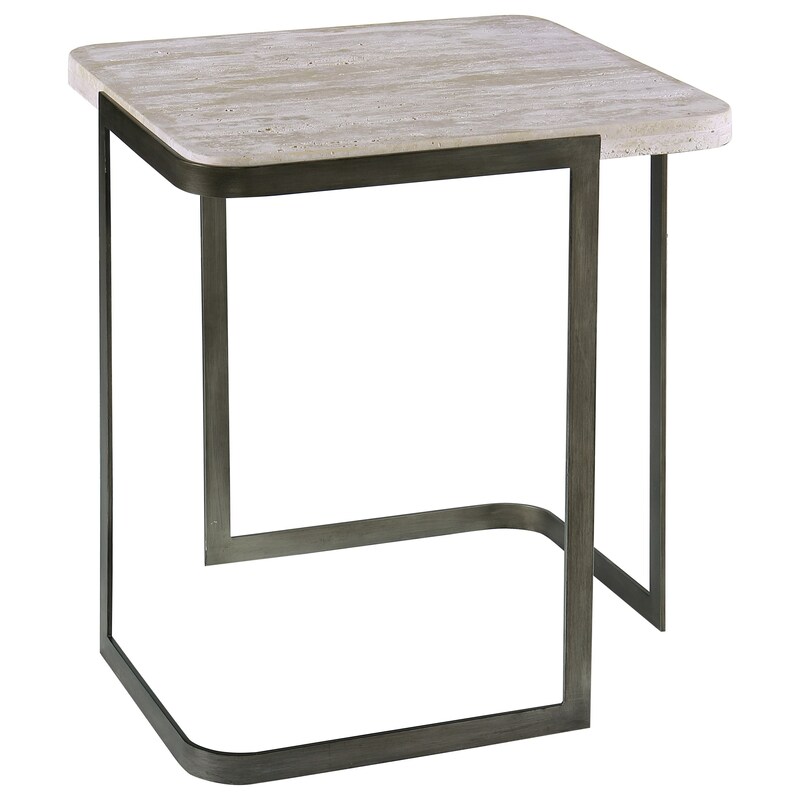 The Deaton Contemporary Rectangular End Table with Metal Base by Magnussen Home at HomeWorld Furniture in the Hawaii, Oahu, Hilo, Kona, Maui area. Product availability may vary. Contact us for the most current availability on this product.